Including Arizona State Initial Filing fee $60.00 and $89.00 fee for checking name availability,preparing Arizona state-approved Articles of incorporation, filing Articles with state, sending Articles to you. $89.00 – Checking name availability, preparing state-approved Articles of Incorporation, filing Articles with state, mailing them to you. 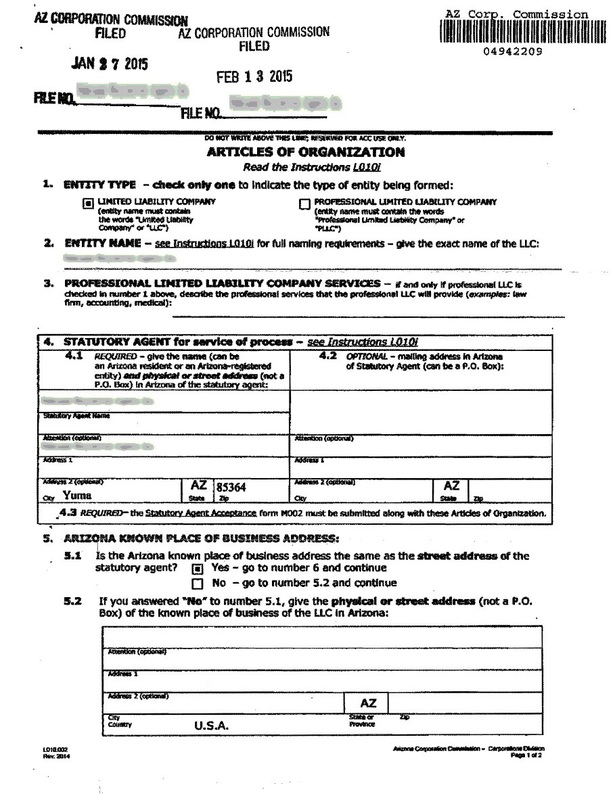 Publishing requirements in Arizona – You must publish your filed Articles of Incorporation in a newspaper in general circulation where the principal business office is located. Proof (File Affidavit of Publication) of publication must be submitted to the state. This affidavit needs to be notarized and sent to the Arizona Corporations Commission. 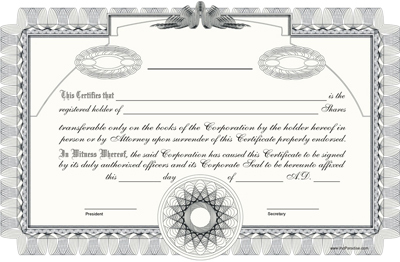 Company Minutes & Stock Certificates are included in incorporation. 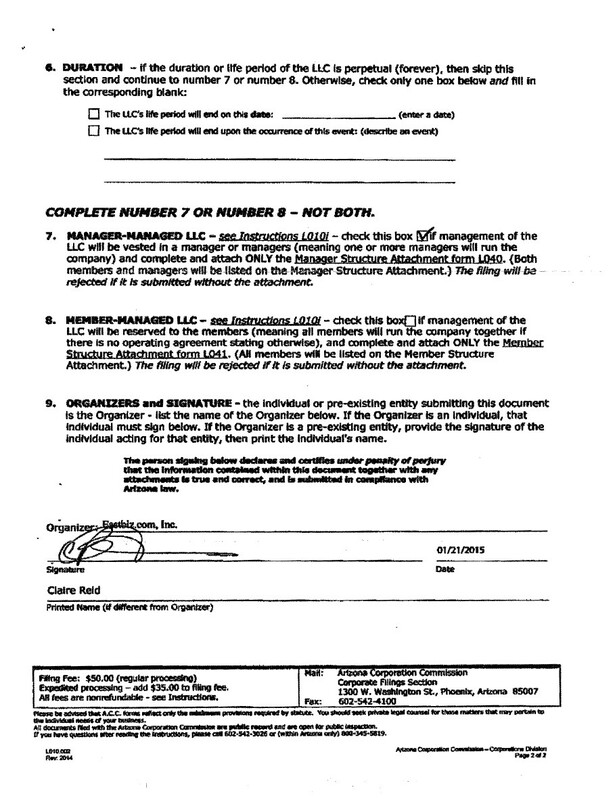 You will have access to documents generated on your client account.